Nokia is back with a bang with its new arrival in the smartphone market. It is known to everyone that Nokia was one of the leading smartphones but gradually experienced a downfall against iPhone and Android. But as rightly said ‘The more you tumble, the more you learn’. Nokia has made it's with a comeback with Nokia 8 and is planning to come up with new smartphones. Nokia is now an HMD Global’s flagship smartphone and has returned back to many new extraordinary features and looks. This article comprises of the specifications offered by Nokia phones and the give you enough reasons to change your Android or iOS devices. Nokia: Will it be able to sustain? Nokia has a huge fan following as it used to be the largest and best-selling smartphone in the world. Thus, Nokia still has a good market as a huge population is still addictive with its older versions. It is equipped with a comfortable design that is better than the Android, Galaxy. The compact smartphone is built well with HMD’s design that can be questionable as it may lack the feel and design that Nokia was known for the last several decades. It is smoother and snappier as compared to the Nokia 3,5 and 6. Nokia spends more of its time and efforts to fit the Qualcomm ‘s flagship class chipset. It also has a speedy chipset and provides extra battery life, extra performance leaving the same feeling you have forgotten for past 3 years. Experience the feeling like a flagship! Nokia is just like a mid-ranged flagship. The smartphone keeps its pace with other flagships due to display, that features a Quad HD (2560 x 1440) resolution. 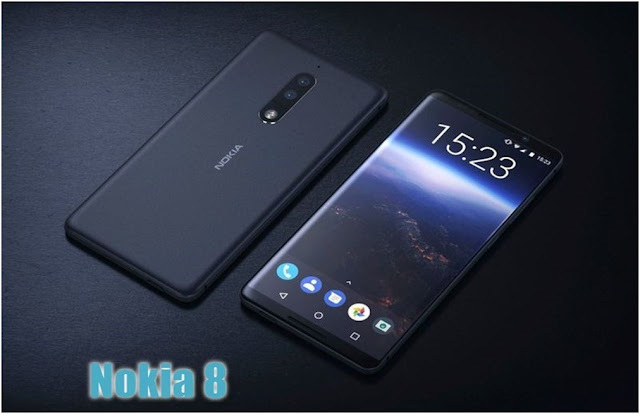 Nokia 8 highlights several features like Snapdragon 835 SoC, amazing dual rear camera setup, ‘bothies’ camera, dual sight mode, super slim cameras with Zeiss optics, 4K video with OZO spatial 360 degrees audio, everything prepared with an ultimate craftsmanship. If you are an avid clicker, then try out Nomao Camera App that gives a clear photoshop picture.You can also use this app in your Nokia 8 Phone. Understanding it in much details, the features offered by iPhone. Nokia 8 Specifications: What makes it stand out from the others? Bothie: this software feature within the camera app which on both the front and rear camera. Yes! You heard it right and Nokia truly is coming up with great ideas. This is one of the features that make Nokia 8 a winner as compared to other Android and iOS devices. This feature might be useful for YouTube uploaders. That being said, Nokia lacks a wide-angle camera at the front or back. If you try doing it then chances are that you might get stuck with narrow frames. Splitting the viewfinder is quite complicated if you try to concentrate on the shot. This might work for a video blog but won't be a good experience for the professionals. Nokia 8 cameras are speedy with no processing lag. The detailing are not so good as compared to other Android and iOS devices, the flagship-class camera is not so satisfactory. The monochrome and RGB combination doesn’t produce good colors in comparison to today’s generation cameras. Nokia 8 comprises of an Ozo audio recording which is the spatial recording technology in Nokia’s Ozo VR camera. The devices provide the handset which is capable of identifying the origin of the sounds and replicates it while watching the recorded video for a realistic experience. After testing, there results in the claim that the audio was more real than in videos recording by smartphones. Also, the impact of Ozo recording is less credible with the quality of the headphones. Which one is better Nokia 8 or OnePlus 5? Nokia 8 and the OnePlus 5 that comes to an 8GB RAM while Nokia 8 settles for 4GB. More or less, both have similar features but the Nokia 8 lacks in one way, OnePlus 5 comprises of a ‘live bokeh’ mode that makes it a bit more preferable for professional photographers. 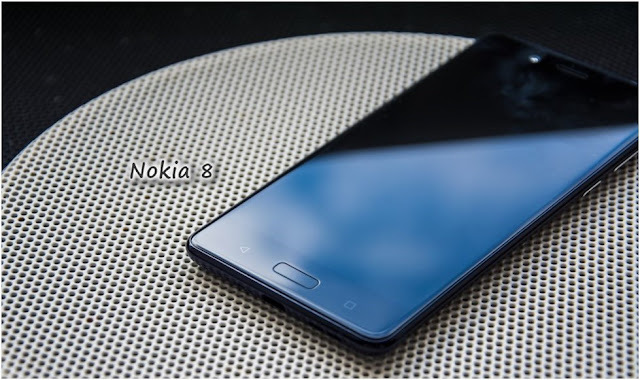 Nokia 8 provides several wow features like the dual sensor camera, powerful chipset, QHD display and more but fails to offer something unique with the many competitive smartphones that have already made a mark in people’s mind. The high price might not be a good idea with minimal and ordinary features offered when there are so many phones offering much better features at reasonably affordable prices.